Rainbow offers Food-Grade Stainless Steel Mounted Ball Bearings that meet ABEC-1 standards. With their corrosion-resistant stainless steel construction and smooth surfaces that won't trap debris, stainless steel pillow block bearings are the ultimate bearings for use in food-handling equipment that is frequently washed down. Bases are solid cast 300 series stainless steel. Ball bearings are deep grooved and made of Type 420C stainless steel. They're permanently lubricated with USDA-approved grease and double shielded - virtually maintenance free. Shields block out dirt and are made of Type 304 stainless steel. All bearings are made to ABEC-1 dimensional tolerance standards. Temperature range is –30° to +160° F. Furnished with two stainless steel set screws to secure the bearing to the shaft. 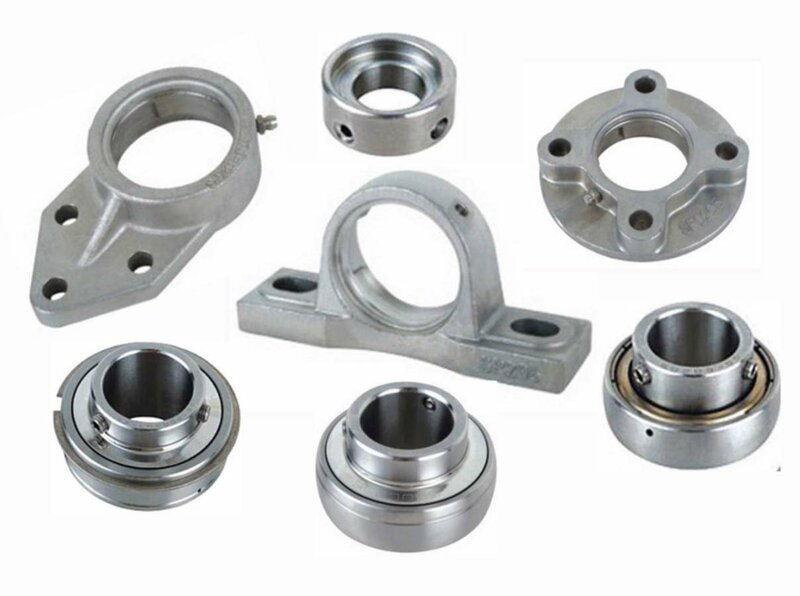 Order your stainless steel pillow block bearings, 2 bolt flange bearings, 3 bolt flange bearings, and 4 bolt flange bearings from Rainbow Precision today. Or, request a quote. If you cannot find what you are looking for please contact us.